For many car owners, keeping the interior clean is a point of pride. However, that can be challenging when your passengers don’t share your enthusiasm for the cleanliness of your car. Fortunately, there is a way to keep the seats of your cars clean, even if you or your passengers tend to make a mess. Wet Okole’s car seat covers can fit virtually any make and model car with a protective seat cover. This covers protects against spills, water, UV damage and much more. 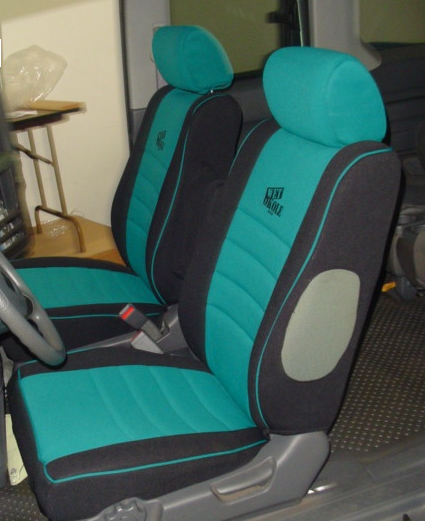 The car seat covers are made from neoprene, the same material used in wetsuits. If it is good enough for the ocean, it is certainly good enough for your car. With that said, there are some misconceptions out there regarding neoprene. Let’s take a look at these misconceptions to help clear the air. This is an absolute fallicy. You cannot put neoprene in the dryer. This applies to our car seat covers as well. Drying neoprene in the dryer will ruin the material. If your car seat cover gets wet, simply let it air dry or wipe it down with a towel. You can even clean your neoprene car seat cover with our car seat cover shampoo, rinse it out off with water, and towel it dry. But under no circumstance should you throw the car seat cover, or any neoprene material in the dryer. The scent of neoprene is what you’d consider a bad smell. When people associate a bad smell with neoprene it is usually due to lack of care. Think of neoprene as you would with any article of clothing that can be subjected to moisture. If you don’t wash your socks after using them and then store them back in your gym bag, they are going to begin to smell. For a neoprene car seat cover, you should wash it after a heavy use. For example if your dog just took a dip in the ocean and brought all of that saltwater in the car. Clean the car seat cover with shampoo and fresh water, then towel and air dry. Neoprene is a very durable material that does have a long usage life. The lifespan will be determined by usage and care. If your car seat covers go through the ringer on a daily basis, the lifespan can be shorter. If you properly care for your car seat cover through regular shampooing, neoprene conditioning, and more, you can expect to have a longer lifespan.